Eurovision party or Election party… Australian Eurovision fans are to use their voting powers twice in one weekend with a federal election announced for the 18 May, the same day as the Eurovision 2019 grand final. Dedicated Australian Eurovision fans have already started planning their strategy to deal with the weekend’s double vote showdown. We suggest that our Australian friends cast their compulsory election vote in the morning, and then be free to kick start the Eurovision party. After all, we know the outcome of one of your votes will excite you more! Fans on social media were quick to share their reaction to Australian Prime Minister Scott Morrison’s announcement of an election date clash. Scott Morrison calling an election for May 18 – #Eurovision day. Poll booths will close just before the grand final is due to commence. However, Australians heading to Israel for the event will have to submit a postal vote. With Australia hours ahead, the election results may not be confirmed when the grand final is broadcast locally, early on Sunday morning. Fans and local media including Australian government broadcasters ABC and SBS have also suggested to combine the vote and vote Australian entrant Kate Miller-Heidke for PM (if only!). IF the election is called for May 18 (as is widely tipped) it will go up against the #Eurovision final. Australian voting power has never been so crucial and either way, it is going to be one dramatic weekend for Australian Eurovision fans eyeing both polls to see who will win their 12 points. 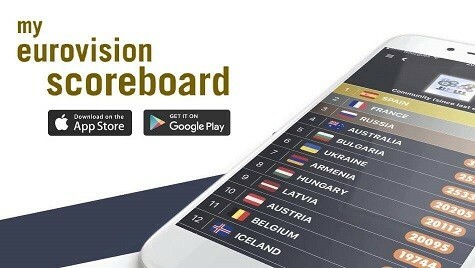 Follow all of our Australia Eurovision 2019 news. They don’t need to qualify to watch the grand final. Hmm… So the Australians will not care about politics on this weekend, because they will celebrate Australia’s first Eurovision victory! Go Kate! My 1st place from Germany! Will vote all 20 times for Australia! Masterpiece! Gotta be stressful to be an Australian this year, it seems. It’s always stressful with the conservatives in power. Good that the elections are on a Saturday and the GF broadcast your Sunday morning. What if those events happened the same day? BTW: would Monday be off had Australia won the whole thing? Public transport wouldn’t have been so bad if it wasn’t for the conservatives. I am so confused as to why this is a big deal? The final airs literally the morning after for us. Nothing to get angry or upset over. Just cast your vote like I will and then look forward to partying at 5am the next morning. Simple as that. When people get the votes confused and wind up with three senators from some party called ‘Hatari,’ Australia’s conservatives will have only themselves to blame. They would be a vast improvement to the dumb buggers we have in now a least they have an agenda that does not include increasing there wages and only working 6 months of the year. Yes, i also have my final exams in eurovision week. That’s nothing – Eimear Quinn actually won the contest the same week as her college exams. It wouldn’t matter anyway, Australia won’t even be in the finals. Do you have a secret Oracle or magic crystal ball? Because other wise there is no way you know that for certain so I suggest not making statements that have no credibility. Eurovision is unpredictable. For all we know Ireland could qualify. Nothing is for certain. Ok, “I don’t think Australia will qualify”. Are you happy now? We’re quite used to loving Eurovision without an entrant, but I suspect you’re wrong. “Poll booths will close just before the grand final is due to commence.” I had to read it trice while I realized that Eurovision is broadcast early morning on *Sunday” Down Under. Wondering how fans celebrate the GF? Are barbecues a myth or reality? As an Australian, I celebrate by just sitting on the couch at 5am in the morning drinking hot chocolate to keep myself from falling back to sleep XD Barbecues in the morning, for me are a myth (I don’t know anyone who gets the barbecue out at 5am) but I’m sure when the rerun of the grand final airs later that night, that is when some Australians get their drinks and barbecues out. Not me though. I just end up telling my parents who to look out for and almost spoiling who wins most the time. Yum for hot chocolate. Very fitting for an early morning 🙂 Now that I’ve read your comment I realized I read somewhere that the *recorded* show is aired at prime time in the evening. So the bbqs make sense but in the evening! Hot choco sounds nice. This got me thinking. I would have IRISH COFFEE (that’s also a nod to Ireland in Eurovision). And not just one. And I would have PANINI (nod to Italy in Eurovision), because they are hot too and would balance the sweetness of the Irish coffee and I would not get drunk. It’s not that bad, in 1974 Italians had to watch Eurovision with month delay, because they were holding a referendum in May, and Gigliola’s song contained too many “si”. I would totally write Kate Miller-Heidke on the ballot. What could go wrong? What could go wrong? Scott Morrison could win; that’s what could go wrong.